One of the more fascinating aspects of the work that we do at Missing Pet Partnership is our pioneering work in the analysis of lost pet behaviors. 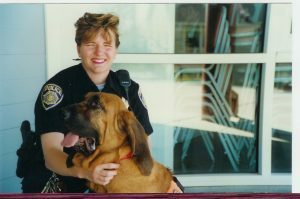 Back in 1997, when I first started my pet detective work, I was also a trained search manager with a local search-and-rescue team. When not out working my bloodhound A.J. to track the lost person, I’d be inside the command post working as the search manager where I assigned search teams according to two things: the profile of the specific person who was lost and my knowledge of the analysis of lost person behaviors. I was trained to develop search assignments and dispatch trained resources into the “highly probable” search areas based on our knowledge of where that category of lost person (i.e. hunter, berry picker, child, Alzheimer’s patient, etc.) would most likely be found. It was my experience in analyzing lost person behaviors that ultimately led me to conduct preliminary (non scientific) studies into the behavioral patterns of lost dogs and cats. That’s how I discovered that there are major differences in how lost dogs behave vs. lost cats. More importantly, I discovered that there is also a major difference in behavior and distances traveled between an outdoor-access cat that suddenly vanishes vs. an indoor-only cat that escapes outside. This background information is important for the story that I’m about to tell. It’s the story of two cats: Burley and Keko. Both cats fit the same feline profile. They were both extremely skittish and what we (at Missing Pet Partnership) call “catatonic” or “xenophobic” cats. Burley was an indoor-only cat that escaped outside his home in Snohomish, WA on October 18, 2010. His family searched for him for two weeks before they contacted Missing Pet Partnership. The owners asked us about bringing out a search dog but we suggested a better technique: a digital wildlife camera and humane trap. 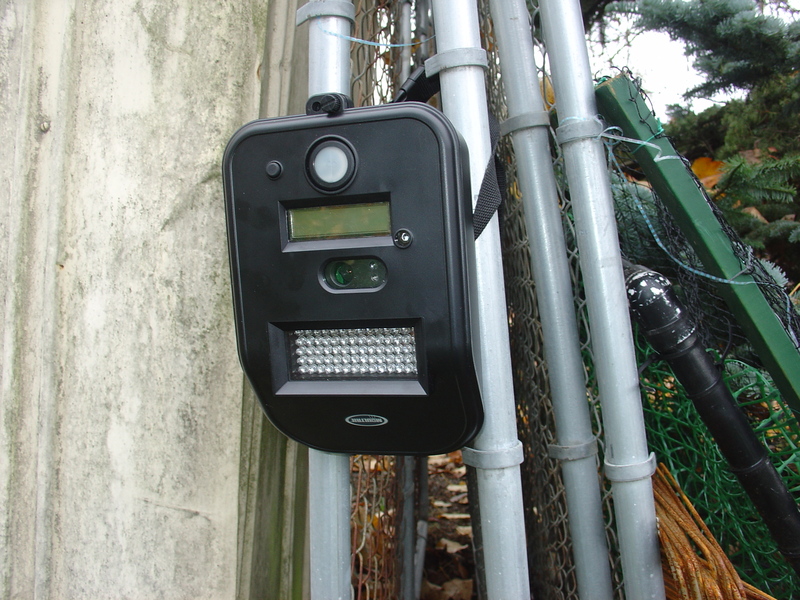 Digital Infrared Wildlife Cameras Help Recover Lost Cats! We knew, based on Burley’s skittish temperament, that he would most likely be hiding nearby in silence. There were plenty of hiding places in the forested yard where he escaped and we suspected that he was likely still in the yard and these were the “high probability” search areas. While bringing in a search dog could help confirm that Burley was still in the yard, a wildlife camera could do the same. Luring him out with food and confirming his presence with a camera would also be less stressful for an already skittish cat! So that’s what we did. Burley’s Mom (Pam) placed canned cat food with the wildlife camera pointed at the food at a brushy area at one side of their yard. For nine days the only thing that showed up on camera was her neighbor’s cat who was more than happy to be there! YUM! So on the tenth day, Pam moved the food and camera to the other side of the yard, right next to a small cabin. Pam had searched under this cabin multiple times but Burley was not under it. Or so she thought! 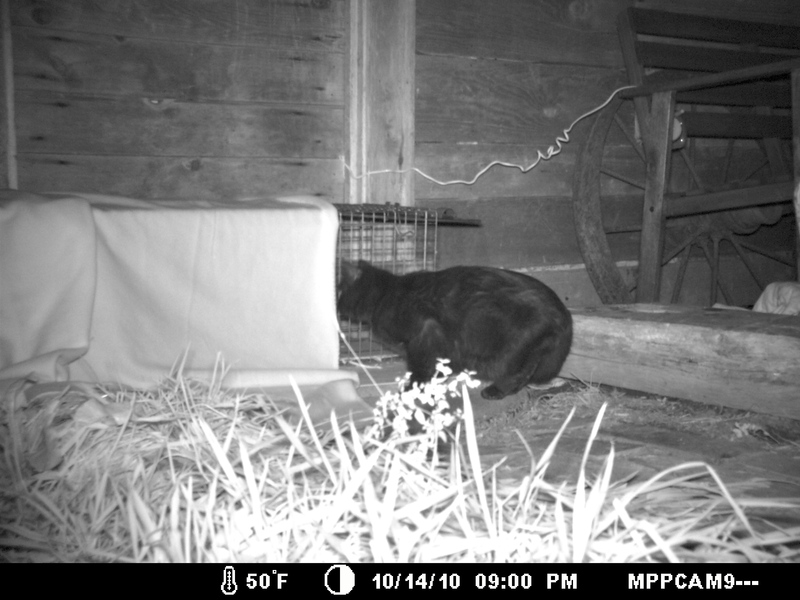 The next morning, Pam checked the camera and there was a picture of Burley-the-black-kitty eating the food! He apparently had been hiding under that cabin after all. The next night Pam set up the humane trap along with the camera and waited. Day after day, Burley showed up at the trap and licked the single dollop of food left outside of the trap, but he just wouldn’t go into the trap. Pam was patient and waited him out. On November 2nd Burley was finally captured in that humane trap! He was displaced and hiding in his own backyard for a total of thirty three days! Compare Burley’s case with the case of Keko, a Siamese mix who vanished from her home in West Seattle, WA on November 27, 2010. Keko was primarily an indoor-only cat, although she was allowed access out into to her front yard once a day. Keko had an extremely skittish temperament and had never left that front yard. Our immediate recommendation to Keko’s Mom (Nicole) was to do exactly what we had Burley’s family do: set up wildlife cameras and a baited humane trap. But Nicole also really wanted Missing Pet Partnership to respond with a search dog. So on November 30th our volunteers and I responded with cat detection dog Griffin. We conducted an “area search” of the immediate neighborhood, going yard-to-yard looking and sniffing (Griffin did that, not me) under and in every conceivable hiding place. We did not find Keko, but there were two areas where Griffin showed interest: Nicole’s own backyard and a neighbor’s back yard (where there were already other cats). In addition, we found two access points under neighbor’s homes where Keko could’ve crawled under. We suggested to Nicole that she place tiny plates of food under those homes. If the food was gone the next day, we suggested she place more food and the wildlife camera to see if it was Keko. Days passed but nothing. Finally, Nicole called on December 9th. Keko had been found! Before I reveal just where Keko was (do you like suspense? ), let me just say that the “profile” of Keko was just like that of Burley: Keko was super skittish, so it was highly probable that she would be found within a 3 to 5 house radius of her home, hiding in fear. It was doubtful anyone would steal Keko–she would run from strangers. It was doubtful that Keko would’ve climbed on or into a car or moving vehicle–she strictly remained in her own yard, was afraid of cars, there were no moving vans or service vehicles in the area that day. Plus, on the day that Keko vanished it was a cold and rainy day, so no car windows would’ve been rolled down. Keko was found 2.2 miles away hiding near a dumpster at the back of a business. She was injured and a woman was able to capture her and transport her to the Seattle Animal Shelter. The shelter staff scanned and detected Keko’s microchip which was registered to Nicole. (BTW, if your dog or cat is microchipped, have your vet scan your pet and confirm that it is registered to you! Just like you need to REGISTER your car with the motor vehicle department, microchips need to be registered with your contact info.). The shelter contacted Nichole and facilitated a very happy reunion with Keko. The evidence seems to indicate that Keko somehow hitched a ride on or under a vehicle, most likely by climbing up into the undercarriage. She had a damaged jaw, raw paws with ripped claws, and she would’ve had to have crossed the West Seattle Bridge which is just not probable that she did this on her own, most probable that she was transported. Keko’s recovery story is a great example that “profiling” any behavior (human or cat) is simply an educated guess. I was personally convinced (wrongly) that Keko was still in her own neighborhood, hiding in silence just like Burley was hiding in his own yard. This story is proof that sometimes trained search dogs, professional pet detectives, high-tech wildlife cameras, baited humane traps, and an extensive “pet hunt” for a missing cat is often just not enough–checking the local animal shelter (and microchipping your pets, even if they are “indoor only” and never go outside) should never be overlooked!